The smell of pine trees, cookies, and cinnamon is in the air. Everywhere I go, the sound of bells and the crinkling of wrapping paper can be heard and, at night fall, the city is filled with bright multicolored lights and song. This can only mean one thing: it’s Christmas time. It’s time to celebrate peace on earth and good will towards mankind, with sugarplums and presents! 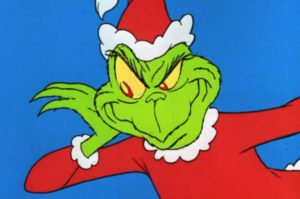 All of that is well and good but, with Christmas time upon us, I am once again haunted by a question that has followed me my entire life, threatening to turn me into the Grinch himself! And that question, is this: What the heck is “Eggnog”? And where can I get my hands on these delicious eggnog recipes everyone keeps talking about? This might seem silly to you. How could someone get to the ripe old age of 24 and not know what eggnog is? But I’m not joking. Eggnog has always eluded me, like a Christmas mystery. 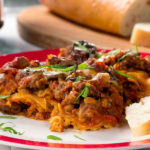 Growing up, I would see it out there in the wild; some people drank it from a carton, some people had homemade eggnog (that I somehow never got a glass of), and others put it into their holiday dishes like it was Christmas magic. But I’ve never encountered it up close! Thankfully, I have finally decided that this is the year. This Christmas, I’m going to learn all about Eggnog; I’ve also decided that I’d like to take you with me on this long overdue Christmas adventure. What the heck is Eggnog, and where do Eggnog recipes come from? Digging into the internet, I found plenty of information to satisfy my thirst for information…and for eggnog. Eggnog dates back to early medieval Britain, and was based on a drink made with hot milk, called posset (a drink served as a cold and flu remedy). Eventually, Eggnog became a drink for royalty in Britain because it was made from ingredients that only the wealthy could afford. Fresh milk, eggs, sherry, and exotic spices like cinnamon didn’t come cheap. When the pilgrims sailed away from England, they brought eggnog with them to America because it was just that good. It is said that George Washington even served eggnog to his guests at the White House during Christmas time! Soon everyone in America was coming up with delicious variations of this delightful drink to serve in their own homes. 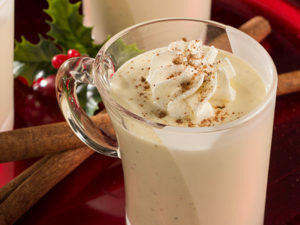 Homemade eggnog recipes were passed down from one generation to the next as our nation grew. This was the beginning of a flavor legacy that turned creamy chilled eggnog into a favorite during the holiday season! So what’s in eggnog you ask? 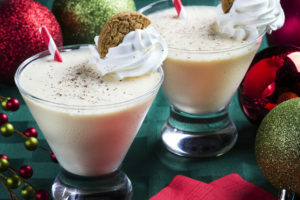 Traditional homemade eggnog recipes contain the following: milk or cream, sugar, raw eggs, spices, and one or more types of alcohol are also part of the party. The most popular alcohols for eggnog recipes include brandy, bourbon,whisky, and rum. Each of these eggnog recipes result in a creamy drink that can be topped with whipped cream and a dash of cinnamon, nutmeg, or crumbled gingerbread. Some eggnog recipes even add in vanilla ice cream, which sounds delicious to me! After all my research, I thought it was time for me to dive in and take a few sips of this special drink myself! 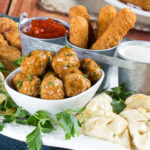 Luckily for me, and for you, we’ve got some of the tastiest eggnog recipes ever, right here on Mr. Food! 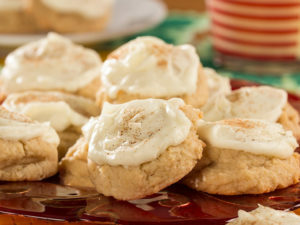 Everything from Iced Eggnog Cookies to Holiday Eggnog Pie; and, of course, recipes for classic homemade eggnog to serve to the family or at your holiday party! Two of my favorite recipes were our No Bake Eggnog Cheesecake, and our Chocolate Eggnog (which some might consider cheating, since it’s an eggnog-hot chocolate combo). But what I found most helpful, was Howard’s video on How To: Make Eggnog. Nothing like learning from the experts! So in conclusion, thanks for coming on this Christmas journey with me! I learned a lot about eggnog and think I can officially call myself an “eggnog lover”. I’m one of the beautiful people now, and it’s all holiday magic without the mystery. What are you making with eggnog this Christmas? I’d love to add your eggnog recipes to my list. In the meantime, Merry Christmas and have a glass of eggnog on me!